Step 1 : Purchase any products at EMO & CO. 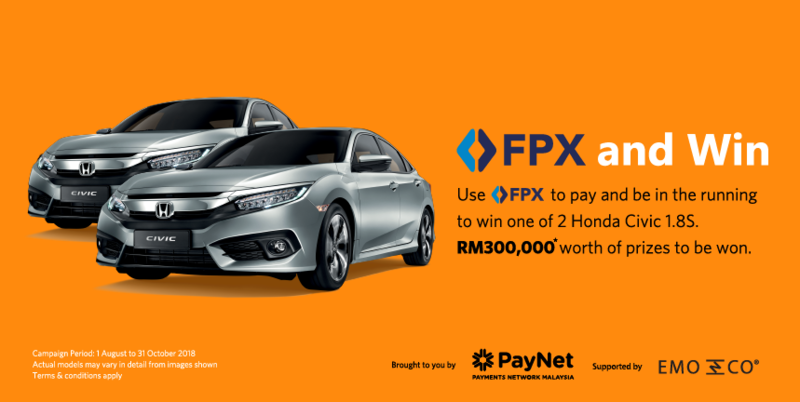 Step 2 : Choose FPX as your payment gateway with all participants bank. Step 3 : Payment Successful. Step 4 : Congratulations, you had 1 entry to this campaign. Step 5 : The Selected Winners will be contacted by the Participating Banks.